With EPA unveiling its proposed new rule to reduce greenhouse gas emissions from power plants, there’s already lots of discussion of whether the proposal is an improvement over the rule it would replace – whether a regime may focus on the utility sector as a system or needs to focus on individual sources. We can’t over-emphasize the point. 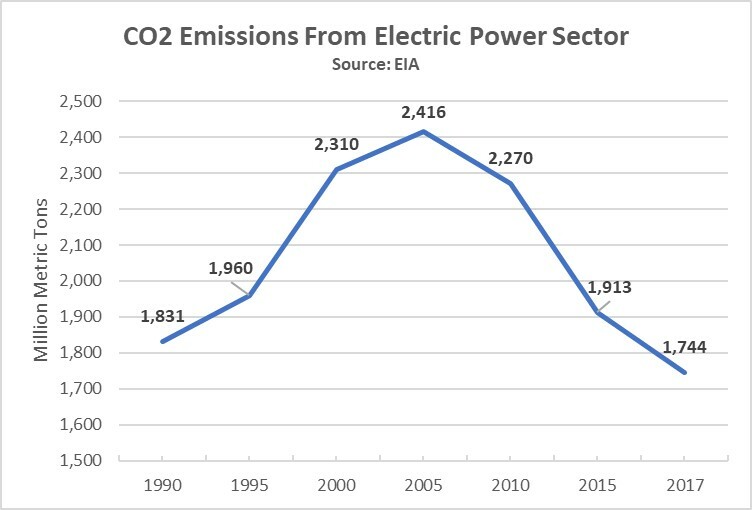 EPA’s new proposal will be debated thoroughly, yet the actual aim of this proposal and the CPP before it – reducing GHG emissions – is occurring in large part because of increased use of natural gas to fuel electricity generation. Natural gas, as a driver of U.S. emissions reductions, which lead the world, is the critical context to discussion of EPA’s new proposal. Feldman says any replacement of the CPP should be fuel neutral – not favoring one generating fuel over others – allow states to rely on natural gas for compliance, provide them with flexibility, fully recognize the environmental benefits of natural gas and not adversely impact combined heat and power generation. Abundant domestic natural gas has benefited consumers, made the United States a global leader in exporting liquefied natural gas – helping friends and allies abroad – while also playing the lead role in cutting GHG and other emissions. That progress is expected to continue with or without this proposed rule.